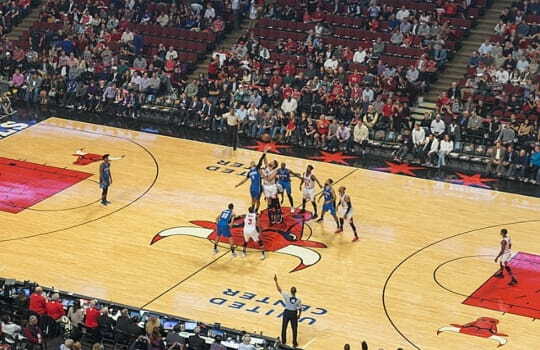 Get to your next major sporting event with National Charter Bus Chicago! 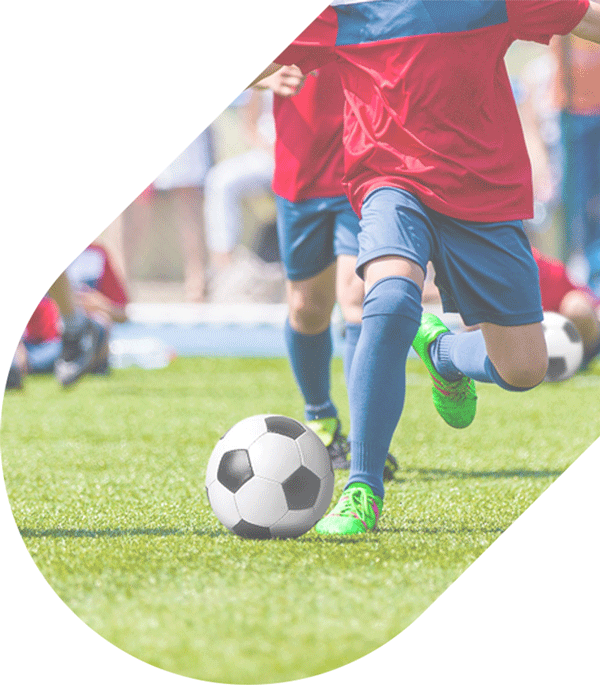 Travel with your entire team to a tournament, match, or other sporting event. Whether your team needs transportation for a home or away game, we’ll find a spacious charter bus for everyone to travel around Chicago and beyond. Even if you’re a group of fans going to cheer on your favorite team rather than participate in a sporting event, we have access to charter bus options that will suit your needs as well. Call us anytime at 312-392-0239 to speak with one of our rental representatives and to reserve your bus. National Charter Bus offers efficient and timely bus services along with top-notch customer service in Chicago. Travel in a comfortable charter bus to major events like the Chicago Marathon. Your running group will stay comfortable before and after the big race in a private, personalized charter bus. 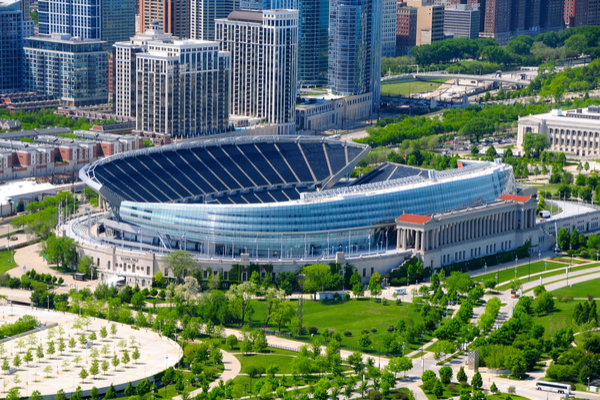 Whether you’re an amateur sports team traveling for a game or a group of fans needing transportation to cheer on your team, National Charter Bus Chicago will find you the best transportation. Easily travel to Wrigley Field to cheer on the Cubs, or transport your group to the United Center to support the Bulls or Blackhawks. Plan the ultimate tailgate before a Bears game at Soldier Field with a comfortable charter bus rental. There’s plenty of storage space on-board each charter bus for tailgating gear. Get together with your favorite people and enjoy brews and barbecue before cheering your team to victory while we take care of the driving. With overhead storage and luggage bays beneath the bus, a charter bus offers plenty of space for sports teams to store equipment on the way to a game. Large pieces of equipment can be stored underneath the bus, while bags and smaller items can comfortably fit in overhead storage. Everyone can head to the game in style and comfort with a full-sized motorcoach. These spacious options can accommodate up to 56 passengers, making them perfect for large teams. Players won’t have to feel cramped in a small vehicle or uncomfortable old bus. With a private rental from National Charter Bus, every player can stretch out and relax on the way to the game. Grab your friends, family, and colleagues to travel to the next big Bears, Cubs, or Bulls game. Regardless of the team you’re cheering for, traveling in a private charter bus or minibus will give everyone the freedom to tailgate and party before the game. Each bus includes a professional driver to get everyone to and from the game safely, so you can skip the hassle of navigating Chicago gameday traffic on your own. We’ll handle the driving and parking logistics no matter what sporting event you’re planning to attend. Your team can stay comfortable to and from the game with additional amenities in a climate-controlled motorcoach. Players and fans can enjoy traveling in plush, reclining seats with amenities like WiFi, televisions with DVD players, power outlets, and more. Leave carpooling and struggling to organize transportation behind with private charter bus transportation. Look no further than National Charter Bus for all your sports travel needs throughout Chicago. We have access to an extensive network of buses across Chicago and the surrounding area. Our services also span nationally for travelers coming from other major cities like Indianapolis, Detroit, and St. Louis. So you’ll never have to miss your favorite team playing an away game! To learn more about the rental process and to receive a free, personalized quote, give us a call at 312-392-0239.